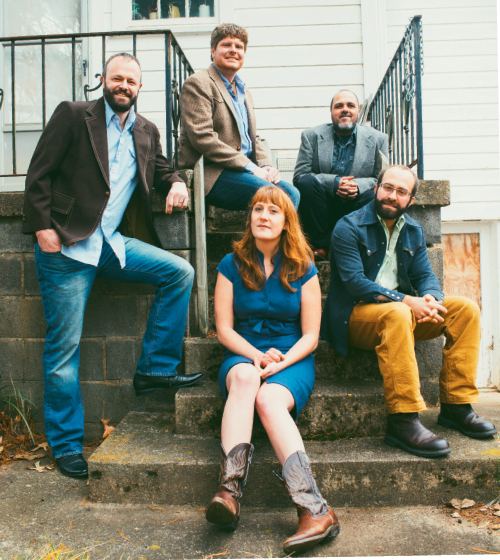 The music of Asheville’s The Honeycutters has been called honky-tonk, Appalachian country, roots, and folk, among other descriptors. Now, the band’s profile is even richer with the release of Me Oh My, its third album. Me Oh My takes a robust step forward from an already strong catalog. With each track, the notes seem cleaner and the vocals warmer. In songs like “Jukebox” and “Ain’t It The Truth,” Matt Smith’s pedal steel guitar echoes and underlines Amanda Ann Platt’s inquisitive and occasionally melancholic lyrics. Meanwhile, Tal Taylor’s swift mandolin sweeps in and out with the backing of bassist Rick Cooper and drummer Josh Milligan. Together, these musicians offer up a sound akin to Nashville but born from our mountain landscape. Only thing is, they didn’t have to go to Nashville to get it—the album, which was funded by fans via a Kickstarter crowd-funding campaign, was recorded at downtown Asheville’s Echo Mountain Recording Studio and mixed by Arden-based Organic Records. However you define The Honeycutters’ musical mélange, Me Oh My is full of homespun goodness. Catch the Honeycutters June 5 at the Sails Music Series in Hickory.